One of the doctors I work with treats us producers to lunch every few months (a very, very generous gesture, as no one eats quite like TV/Radio folks!) 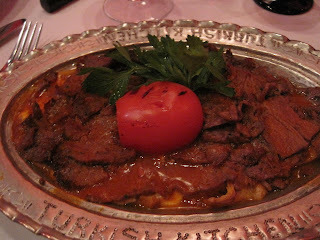 This recent jaunt took us to Turkish Kitchen in Gramercy, not far from NYC's Curry Hill (which made me realize it's been FAR too long since I've had some good Indian food). 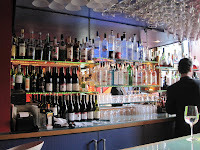 We had a great time, filled up on amazing food, and enjoyed a glass or two of pinot noir! 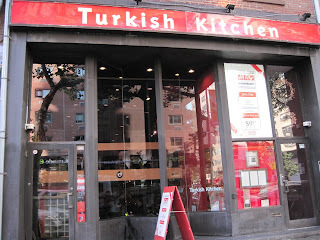 Turkish Kitchen has a great lunch deal: appetizer and entrée for 9.95! 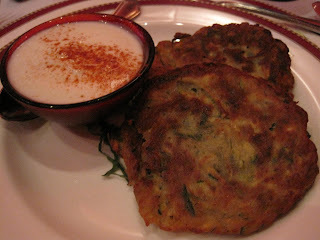 I ordered the zucchini pancakes as an appetizer. First of all, they were GARGANTUAN, secondly, they were very much like the ones ABF and I order and share at Ayhan's Mediterranean Grill (tho Ayhan's are just a bit better). This is definitely large enough for 2 people to share. Definitely. With our large group, we ended up ordering one of each dessert and sharing tastes of each, which is a much more waist-friendly way to go about it. 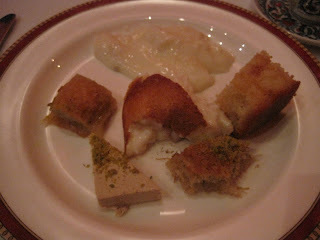 My plate, from the top in clockwise order: Almond pudding, semolina cake, pistachio/shredded wheat-type cake, halvah, 1/2 a piece of baklavah, and a bit of rice pudding in the middle. Halvah is basically wedges of sesame seed & tahini. I have to say, the texture of halvah has always freaked me out. It's akin to eating malted milk balls for me, which is also equivalent to raking nails down a blackboard. Yeeeesh! 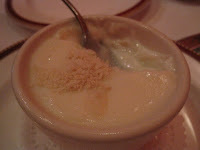 The taste isn't too bad, but I'd rather have the almond pudding (almond being one of my favorite flavors in the whole wide wonderful world), which was sweet but not overly so, and soft, yet sprinkled with crunchy almond slivers throughout. 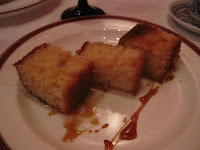 The semolina cake just wasn't my cup of tea, either, so I left most of it on my plate. 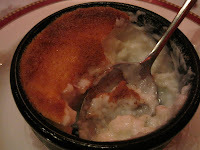 The rice pudding was good, but it just couldn't hold a candle, IMHO, to the almond. 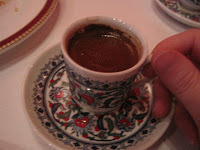 And you can't end a meal at a Turkish restaurant with some intense Turkish coffee (served in beautiful demitasse cups). 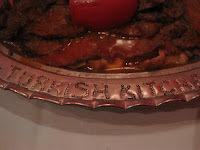 Wow--that stuff was potent, but also delicious. It was strong, but not too bitter. Just forceful enough to get you going and power through that potential food coma! Thanks, Doctor Marc, for such a wonderful treat! Funny... 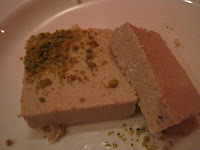 I LOVE halvah but hate malted milk balls (due to the texture).